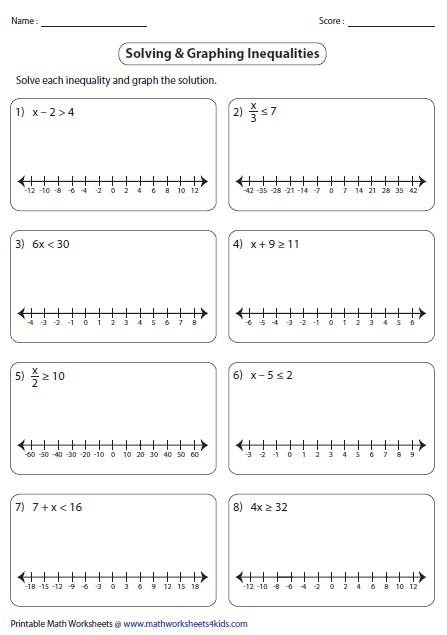 This page contains a huge collection of one-step inequalities worksheets based on various skills such as translating phrases, solving and graphing one-step inequalities, selecting correct graphs, identifying solutions and more. 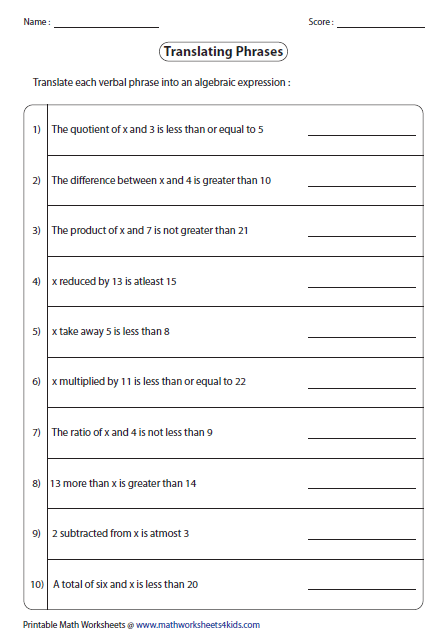 It also contains exclusive worksheets with coefficients in fractions and decimals. 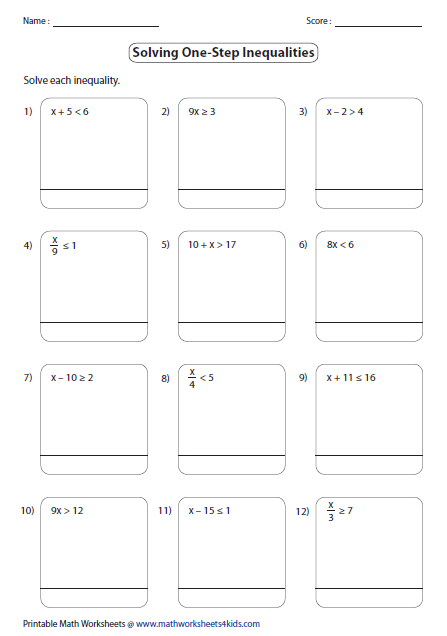 Translate each verbal expression into an algebraic expression. Circle the correct solutions that satisfy each one-step inequality. 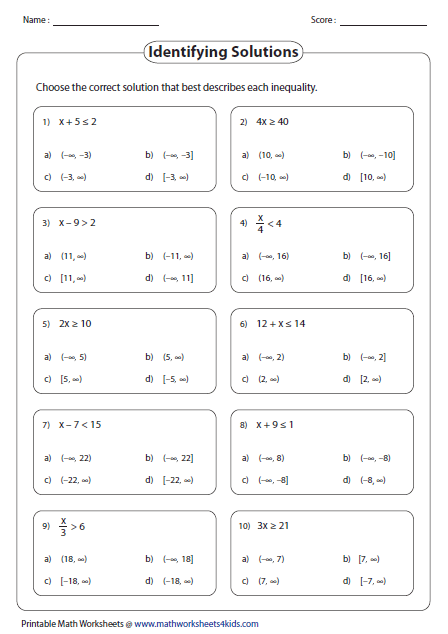 Algebraic inequalities worksheets that takes only one step to solve each problem. 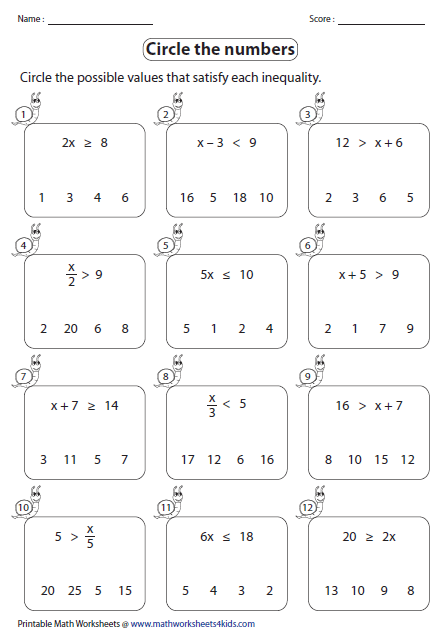 For each one-step inequality, solutions are given in the interval notations. Choose the correct solution interval for each problem. 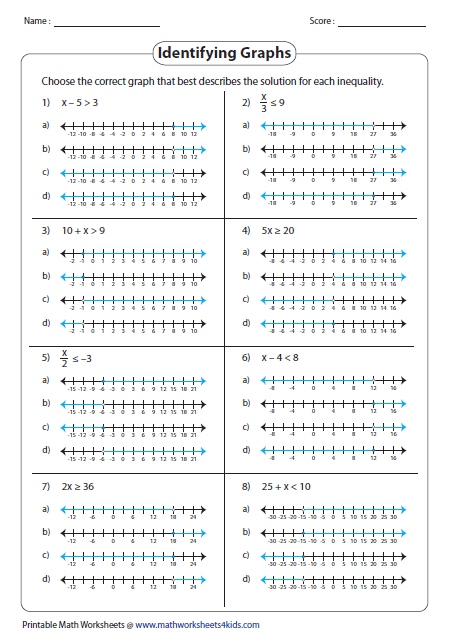 Each worksheet has eight problems solving and graphing one-step inequalities. For each one-step inequality, choose the correct graph that best describes the solution. 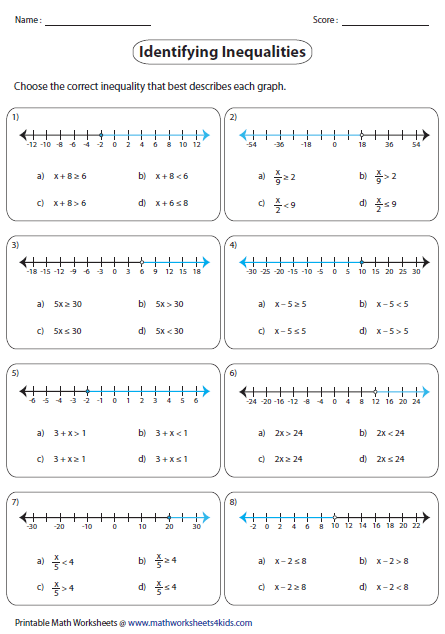 For each solution graph, identify the correct one-step inequality.